Pressure on parents today is endemic, and, for the first time, stress levels among youth have eclipsed those of adults--something parents, too, are frequently blamed for in the media. Pressure on families to parent in a certain way has always existed, but the form the advice takes changes with the prevailing zeitgeist. These days, "intensive parenting," "natural parenting," and "attachment parenting" are generating a lot of attention and controversy. Intensive parenting is just what it sounds like: parent activities that are highly involved yet feel consuming--either because parents lack the support they need to work and raise children, or because parents overreach toward an idealized vision of themselves or their children. Natural parenting is a wide collection of practices that promote "living and parenting responsively and consciously." And attachment parenting prioritizes the development of an empathic and trusting bond with an infant. This summer's new crop of parenting books examines modern pressures and holds them up to the light of science to sort the wheat from the chaff: Which messages are worth paying attention to and which should be discarded? Who is promoting a practice and what do they stand to gain? American mothers bear the brunt of today's pressure to be super involved and highly vigilant--with very little social or policy support, say the authors of two new books. And mothers are paying a price. 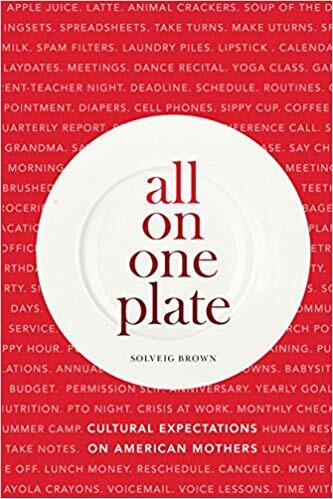 Intensive parenting, according to anthropologist Solveig Brown, author of All on One Plate: Cultural Expectations on American Mothers, "views children as innocent and priceless, and assumes that mothers will be the primary parent responsible for using child-rearing methods that are child-centered, expert-guided, emotionally absorbing, labor-intensive, and financially expensive." As part of her research, Brown interviewed 140 mostly white, middle-class mothers in the Minneapolis area about their cultural ideas of mothering, how they cope with their "life load," and how they really parent. Her interviewees described in measured words how they strain to do too much with too little help. Even though most of the mothers rejected the media-generated picture of the "perfect and self-sacrificing" mother, they said it infiltrated their psyche nonetheless and made them feel pressured, guilty, and judged. They were unaware that other mothers, too, eschewed that perfection--they were sure that they alone fell short. Brown's interviewees talked at length about their strain, including salaries that barely offset the high cost of early care, employment conditions designed for the ideal worker who is childless, and an unbalanced division of labor at home. And that shouldn't be surprising to hear. Most developed countries support families better than America--which has no comprehensive family policy for paid parental leave or flexible work, daycare, or early childhood education. The cost of a year of high-quality daycare is comparable to a year's tuition at a public university, and to raise a child in America--not including college tuition--costs about $245,000. The organization Human Rights Watch calls America's family policy failure "a human rights concern." Families are left to figure out how to make it all work on their own, and mothers, in particular, carry the burden of closing the gap. 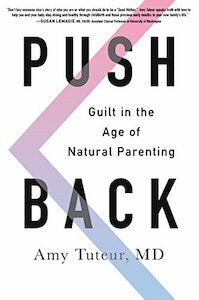 Natural parenting and attachment parenting practices, too, place undue pressures on mothers, and might be deliberately architected with the sexist aim of controlling women's bodies and keeping them tied to the home, says Amy Tuteur in her provocative polemic, Push Back: Guilt in the Age of Natural Parenting. Tuteur has several complaints about the movement (whose proponents she compares to creationists and antivaccers): namely, it subverts actual science; it relegates mothers back to the home; it is founded on a few elderly white men's sexist and religious beliefs about controlling women's bodies; and it has created lucrative industries and lobbying groups that make the movement unduly influential. Tuteur takes down each pillar of natural parenting with data and logic. For example, she points out that before modern medicine, natural childbirth was the leading cause of death for both women and babies. With the advent of modern medicine, maternal deaths fell by 99 percent and neonatal deaths by 90 percent, while homebirths have increased neonatal death by three- to nine-fold, or "more than ten times higher than the death rate for sudden infant death syndrome (SIDS)," says Tuteur. And many American midwives who attend homebirths are not properly trained or licensed, including Ina May Gaskin, a leading figure in the natural childbirth movement. Regarding the pressure to breastfeed, Tuteur says the movement makes mothers who have difficulty feel unduly guilty--and the supposed long-term health benefits that motivate women to breastfeed are not definitive. She cites the important 2013 World Health Organization (WHO) study that failed to show long-term differences in adult health due to breastfeeding (except for IQ), but she overstated their conclusion: They actually concluded that health benefits persist into childhood and adolescence, and they advocate for exclusive breastfeeding for the first six months of life. However, a recent study that used a more sophisticated analysis found that it was not breastfeeding, but socioeconomic conditions, that contributed to differences in health outcomes. The practice of attachment parenting, Tuteur accurately reports, is a distortion of legitimate research on attachment theory. It promotes practices that are not scientifically linked to secure attachments but that do keep mothers securely attached to their homes. She reveals that attachment parenting proponents William Sears and his wife Martha see their advice as "God's plan for childrearing." Unfortunately, Tuteur does not elaborate on the important differences between legitimate attachment theory and the Sears's attachment parenting practices. While Push Back may prompt important discussions about birthing, feeding, and early caring among parents-to-be, at times it is too black-and-white, failing to acknowledge that homebirths can be made safer, for example, or that certain close and responsive interactions with adults are a foundation for brain development. And she never answers her critics' concerns about insensitive medical care or the overreach of the medical establishment. America must update its policies to support families at least as well as other developed countries do. The most influential developmental scientist of modern times, Urie Bronfenbrenner, said that the degree to which parents can affect their children's development depends in large part on the more remote forces in their environment--the culture and policies that are the "blueprint" for all the other forces in children's lives. Only when our culture, policies, and industries become more supportive can we hope to truly relieve parents of unnecessary pressure and guilt.